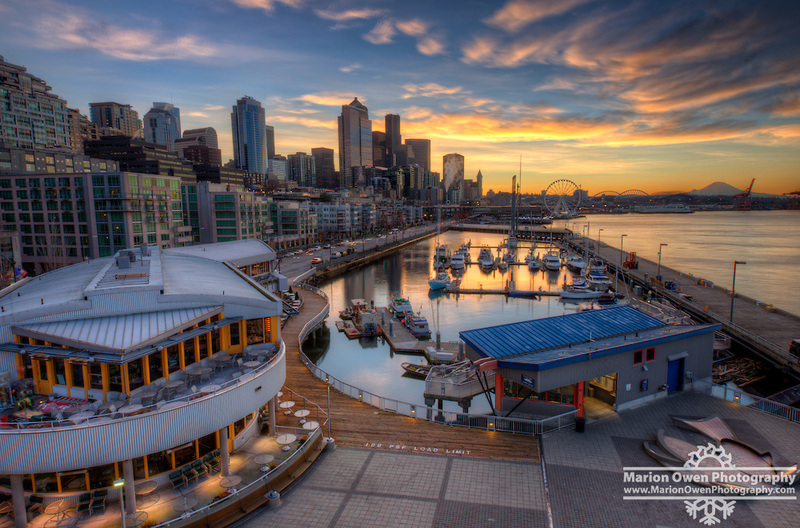 Sunrise along the Seattle waterfront, with Mt. Rainier in the background. Seattle, ferris wheel, Mt. Rainier.